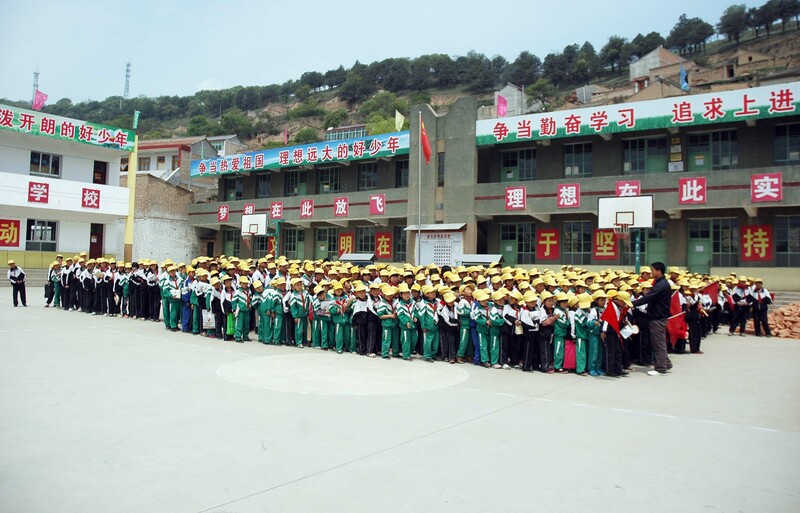 Children of Madaifu’s only goal has always been to assist underprivileged children. Every now and then, however, when asked by local authorities or faced with particularly dire circumstances, we find ourselves stepping outside of our frame of action and starting other projects. Thus, we have found ourselves buying footballs, skipping ropes, maps to embellish the classrooms’walls, beds, stoves, canteens facilities and improve their everyday life at school. One day, a middle school’s headmaster introduced us to the health & safety issues the students were facing in the dormitory : two years in a row he had had to close the dormitory (hosting more than 50% of the students) due to two consecutive scabies epidemics. A new project was born. 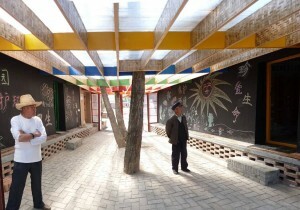 It came true in June 2011 with the opening of the Shanmen Bathhouse. 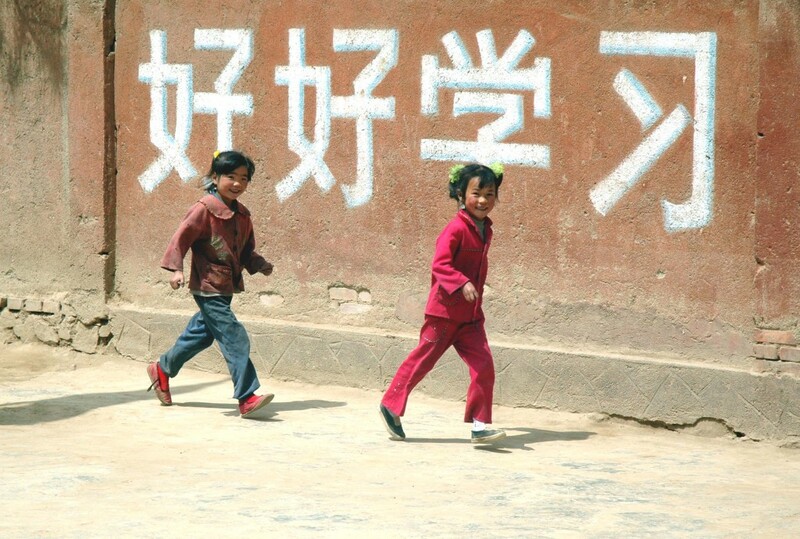 Guanshan is a small, poor and isolated village in mountainous Gansu. The only path leading to the village is in a disastrous state. However, it is home to the only primary school in a 15 km radius and 10 of the 80 children who attend it simply couldn’t go home after school. Without a dormitory, they were forced to rent makeshift beds in local farmers’ homes. The association stated by installing 5 bunk beds in a room. 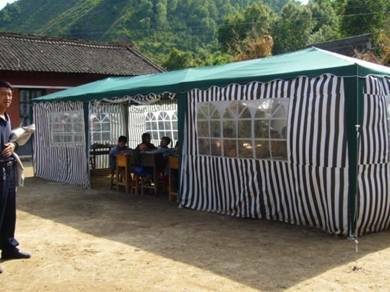 Since march 2008, the association has equipped the school with a canteen for the pupils and the primary school teachers who stay in the dormitory during the week. 100€ per month are required to buy the flour, oil and meat. Word of mouth in the village as well as the headmaster’s involvement made it possible to welcome 10 more children in 2008. 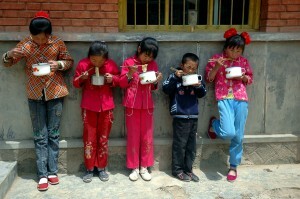 Without this dormitory and canteen, they would not be able to go to school: their houses are simply too far away. In 2009, we joined hands with Shanghai-based association “A pleines mains”, who covered these children’s food expenses and provided 2 tons of coal to heat up the dormitory. InMay 2008, the association provided a basketball field for the Shanmen primary school (Gansu). 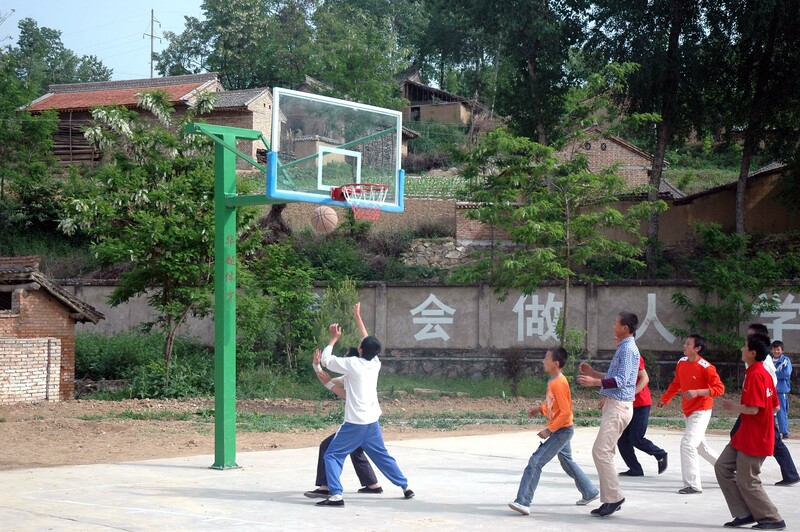 An aid-grant from the French Embassy in Beijing made this project, hoped-for by 400 children, possible. After the earthquake that occurred on the May 12 2008, the local authorities were overwhelmed by demands for help and simply couldn’t deal with all of them. With national and international aid focused on the earthquake’s epicenter, in Sichuan, they authorities turned to us for help. 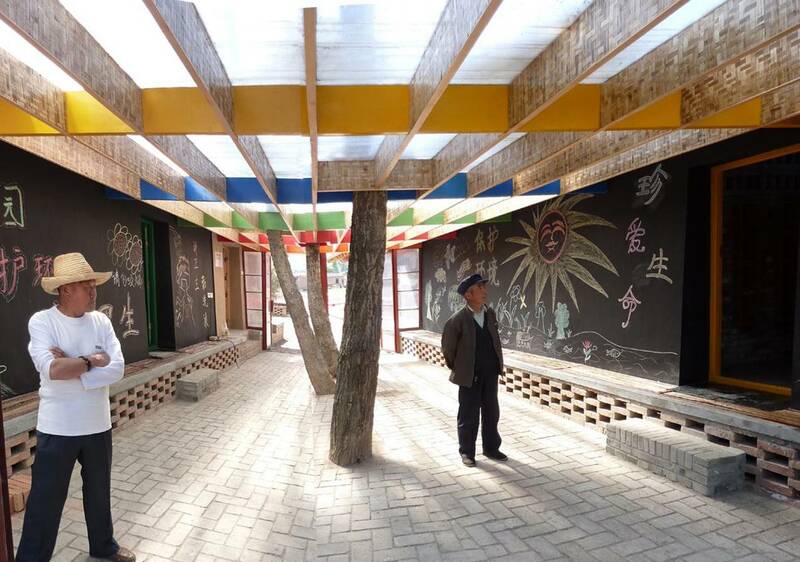 We did what we could, repairing three of our children’s houses, fixing the Gaoqiao primary school’s outer wall, the Xuantou school restroom and the roof of Nanshan’s primary school. The Shanmen Batthhouse opened its doors in June 2011! Following a request from a school principal and responding to a real on-site need: this town, 2500 inhabitants strong, is currently without any public sanitary equipment and none of the houses are equipped with bathrooms. Taking into account the population from the surrounding villages, 5000 people, 4 primary schools and one middle school are concerned. A project carried out voluntarily by architect Benjamin Beller, from BaO agency. The project is ambitious: 2 buildings housing 12 showers each (men’s/ladies’), connected by a greenhouse, a common area open to the outside and conceived as a « village square » where children and adults alike can mingle. Building works started in August 2010, and were completed by June 2011. The overall cost of the project was of € 50 000, sourced at 75% through the generosity of such donors as the Veolia Foundation (€ 16 000), the French Development Agency in Beijing (€ 5000) and a Hong Kong-based lawyer (€ 16 500).